You are currently browsing the tag archive for the ‘UEF’ tag. 2- the drawing up, before the 2014 European elections, of a plan to relaunch the European constituent project, so as to resolve, without delay, the crucial problems of the democratic legitimacy of the European Union and of the government of fiscal, budgetary and monetary policies, so that the European institutions might win back the consent of the European citizens and of the international community. 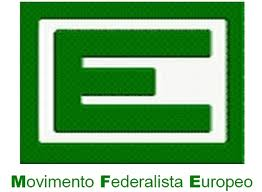 -­‐ the dissemination, in Europe, of this and other initiatives and demands put forward by organisations, personalities, and movements that support the European political union on a federal basis, along the lines of the battle that JEF and UEF, through its national, regional and local organisations, has been waging for years. -­‐ to set up a task force which will be specifically required to establish contacts with the abovementioned organisations, personalities, and movements in order to organise a European Coalition for a Federal Union Now. The priority should be the coordination of the various initiatives to mobilise public opinion, to put pressure on the European and national institutions, on the governments and on the political parties, and to highlight the need to solve, at European level, the problems created by the crisis, to promote a European New Deal, and to tackle the problem of the absence, at European level, of true democratic legitimacy and capacity for democratic government. -­‐ looks forward to organising in the autumn of 2013 a large congress of Europe’s federalist forces which will launch the European Parliamentary election campaign.